This article demonstrates how to migrate data between Microsoft Excel and Netezza databases, it talks about challenges faced when converting between different data types as well as transferring binary data. Connected mode - when you have access to both Microsoft Excel and Netezza databases at the same time. Connected mode is the fastest way to migrate data from one source to a target. 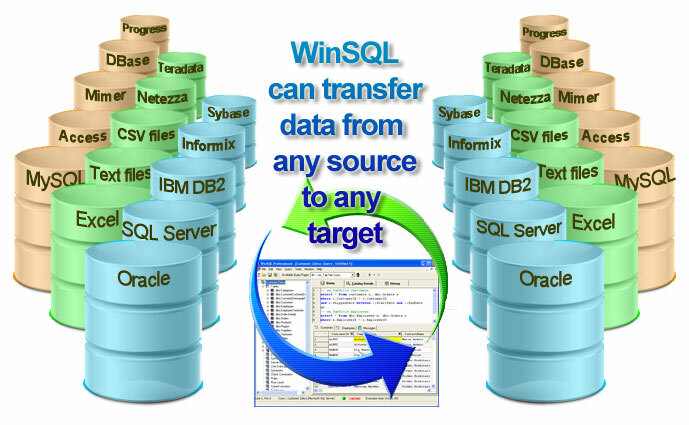 In this mode WinSQL can connect to both Microsoft Excel and Netezza at the same time, run a SELECT queries against source database and issues INSERT statements against the target database. 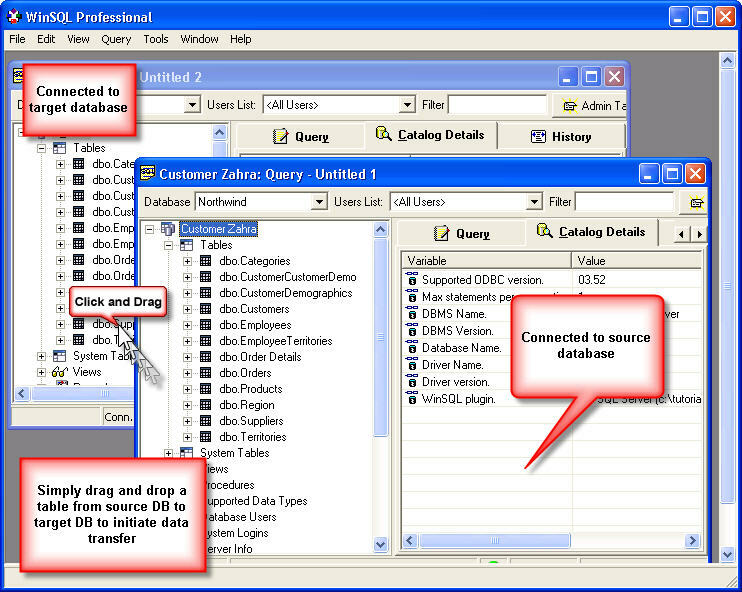 The following image displays a screen shot connecting to both databases. The easiest way to initiate data transfer is to select the desired table from Microsoft Excel and drop in to Netezza window, or the other way around. Importing back into Netezza from the temporary location.